Time for a trim? A new barbershop has opened for business in the neighborhood. Called Grooming Lounge Chicago, the fresh addition is located at 1258 N. Milwaukee Ave. in Wicker Park. 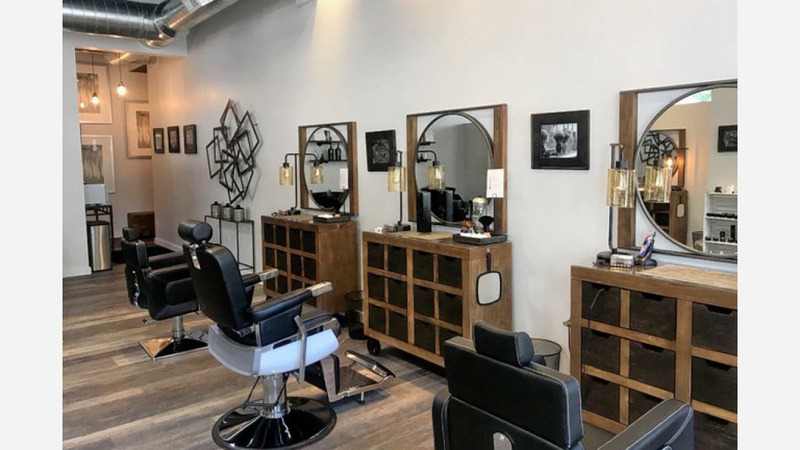 Grooming Lounge touts itself as a modern, upscale barbershop and says it wants clients to "experience the world-class art of grooming and services in a therapeutic club atmosphere," per its website. Get a haircut ($29-$34), urban shave ($35), chest trim ($20) or detox facial ($45) at the new neighborhood spot. You can also choose between six packages from The Highball ($21 for a shampoo and buzz cut) to The Hot Toddy ($65 for a shampoo, haircut, styling, toning, exfoliation and more). See the full list of services on the Grooming Lounge's website. With a five-star rating out of eight reviews on Yelp so far, the new barbershop is on its way to developing a local fan base. Gino I., who was among the first Yelpers to review the new spot on May 29, said, "Corey and Hal have always provided great haircuts and conversations. I appreciate the time and care taken to make sure I'm happy with my cut. The new place has a great feel and cool vibe." Yelper J K. added, "Just like a McMuffin after a late night out, I'm loving it! Cory is the best stylist. I come in messed up and always walk out cleaned up and feeling mighty fine. I love the relaxed atmosphere."